Christianity developed within the community of Jesus’ earliest disciples on the basis of core Jewish beliefs, as interpreted and exemplified according to Jesus’ teaching, ministry, crucifixion, and resurrection. The most significant controversy in the very early Christian church concerned the terms by which Gentiles would be accepted into the community. With the church’s expansion from Jerusalem, traditions about the work of particular apostles became associated with specific locales by the end of the first century, most notably: James in Jerusalem; Peter and Paul in Rome; John in Ephesus; and Thomas in Syria. Early Christianity was not uniform, yet a common faith in Jesus and a common core of apostolic traditions helped shape a specifically Christian set of doctrinal commitments, worship practices, and ethical expectations. Jesus’ first-century ministry of healing and teaching not only attracted large crowds, but he also gathered a number of disciples with whom he worked closely. Many acclaimed him as the Messiah, the Lord’s “anointed” who would deliver God’s people, Israel. After the Romans put Jesus to death as a political threat, reports of his resurrection led his disciples to become convinced that God had vindicated him as Messiah (Christ), and the events of Jesus’ atoning death and subsequent resurrection became the pillars of Christian faith. Early Christian beliefs, worship, and ethical practices owed much to the traditions of Judaism, to which were added distinctive Christian convictions about the role of Jesus Christ as the world’s savior. The early church in Jerusalem consisted mainly of Jewish believers, though they were a diverse lot; some were Judaean, but many were Hellenistic Jews from the Diaspora. They looked to Peter and then James, the brother of Jesus, for leadership. Once persecution at the hands of the Jewish establishment broke out against Jesus’ followers in Jerusalem, the Hellenists in particular were scattered, taking the message of Jesus’ gospel (or euangelion, meaning “good news”) into the synagogues of many different cities of the Roman world. Soon, even large numbers of Gentiles were being attracted by the Christian message and lifestyle, causing the most significant controversy for the church of that era: the terms by which Gentiles should be received into the church. 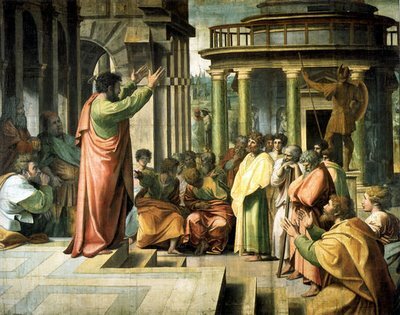 The Apostle Paul effectively championed a liberal position on the issue, with the result that Gentile Christians were in the majority by the end of the first century. Fairly strong evidence supports the tradition that both Paul and Peter ended up in Rome and were martyred there under the emperor Nero. Peter probably played a significant leading role in the church at Rome, though the claims that Peter was the “pope” are anachronistic. Other locations came to be associated with the work of specific apostles, namely John in Ephesus and Thomas in Syria. The church at Ephesus may have been the most influential church of the mid- to late-first century, very likely the point of origin of some or all of the Johaninne literature of the New Testament. Strong traditions also place Jesus’ mother Mary in Ephesus, under the care of John. East of Antioch, the gospel spread among communities of Syriac-speaking people, whose traditions preserved certain Semitic features and a literature with strong ties to the name of the Apostle Thomas. First-century Christian communities were diverse. Yet they enjoyed a significant measure of unity, due to a common faith in Jesus, a shared heritage in Judaism, a core of apostolic teaching, and habits of frequent travel and communication between churches. Out of this matrix arose characteristics that would come to distinguish churches far and wide, such as a shared commitment to interpret the Old Testament scriptures in light of Christ, baptism, the Lord’s Supper, Sunday assemblies, and moral emphases.